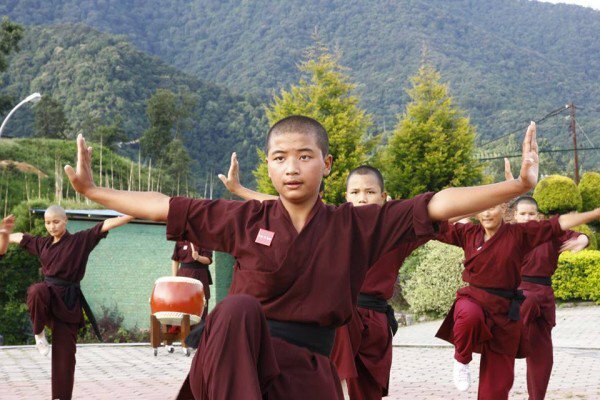 For centuries, Buddhist nuns have been banned from practicing the deadly martial art of kung fu, but a few years ago the Druk Amitabha Mountain nunnery in Nepal became the home of the world’s first first order of kung fu nuns. Traditionally, the inherently patriarchal Buddhist monastic system has nuns performing only the most meanial of domestic tasks, while the monks can lead prayers and occupy powerful positions. Nuns are perceived as inferior to monks and usually spend their time working in the kitchens and gardens of Buddhist monasteries. 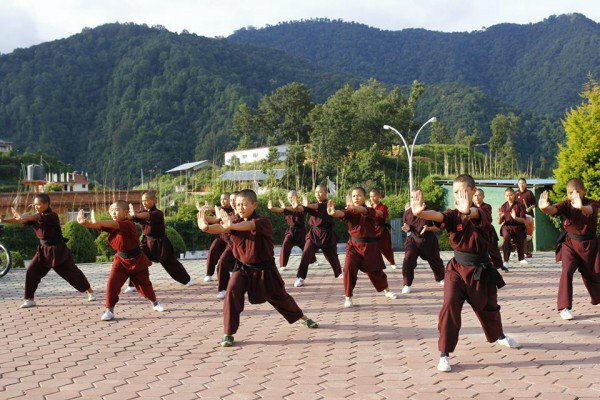 Learning ancient martial arts is definitely off limits for them, so how did the nuns of Druk Amitabha Mountain nunnery come to practice kung fu up to two hours every day? Chores at the hillside nunnery just outside Kathmandu are split equally, and women get to lead prayers, practice meditation, take English lessons and classes in managerial skills. 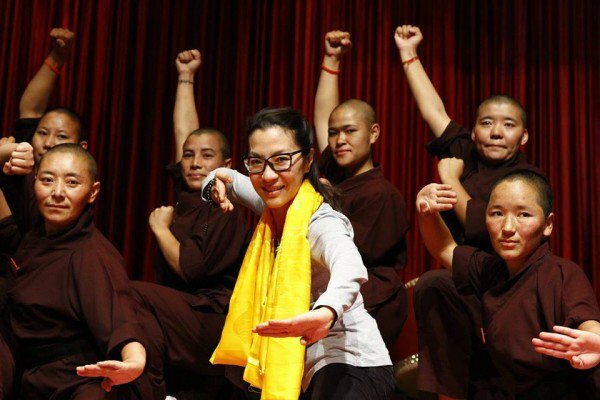 But the Gyalwang Drukpa took things even further in 2008, when he introduced kung fu to the nunnery, after seeing nuns from Vietnam receiving combat training that was previously used by Viet Cong guerrillas. Every day, the nuns put on the same style clothing made famous by classic martial arts movies in the 70’s and 80’s, and engage in an intense two-hour training session complete with hand chops, punches, high kicks and exagerated kicks. The benefits of training in kung fu are many-fold, according to the nuns. “It’s good for our health. Meditation is very difficult and if we do kung fu, then afterwards meditation becomes much easier,” 16-year-old Rupa Lama told the BBC. “It’s excellent exercise, secondly it’s very good for discipline and concentration, thirdly it arouses a sense of self-confidence which is very important for nuns, and fourthly when any young men in the area know nuns are kung fu experts, they keep away,” Buddhist nun Jetsunma Tenzin Palmo adds. “I am not saying that I am a great teacher or a great leader but the path that I have decided to take in order to promote gender equality, so as to bring about the nuns’ improvement, gives me great encouragement to work harder and live longer,” the Gyalwang Drukpa said a few years ago.